As we gear up to the 2019 general elections there are been a lot of speculations and suggestions that the President might seek a second term in office and this hasn't gone down well with some Nigerians and one of them is ex-president Olusegun Obasanjo. The former president who recently become a PhD holder, has written an open letter to the President advising him not to seek a second term in the office. Since we are still in the month of January, it is appropriate to wish all Nigerians Happy 2018 . I am constrained to issue this special statement at this time considering the situation of the country. Some of you may be asking , “What has brought about this special occasion of Obasanjo issuing a Special Statement ?” You will be right to ask such a question . But there is a Yoruba saying that ‘ when lice abound in your clothes , your fingernails will never be dried of blood’ . When I was in the village , to make sure that lice die, you put them between two fingernails and press hard to ensure they die and they always leave blood stains on the fingernails . To ensure you do not have blood on your fingernails , you have to ensure that lice are not harboured anywhere within your vicinity.The lice of poor performance in government – poverty, insecurity, poor economic management , nepotism, gross dereliction of duty , condonation of misdeed – if not outright encouragement of it, lack of progress and hope for the future , lack of national cohesion and poor management of internal political dynamics and widening inequality – are very much with us today. With such lice of general and specific poor performance and crying poverty with us , our fingers will not be dry of ‘ blood ’ .Four years ago when my PDP card was torn, I made it abundantly clear that I quit partisan politics for aye but my concern and interest in Nigeria, Africa and indeed in humanity would not wane . Ever since , I have adhered strictly to that position. Since that time , I have devoted quality time to the issue of zero hunger as contained in Goal No . 2 of the Sustainable Development Goals of the UN . We have set the target that Nigeria with the participating States in the Zero Hunger Forum should reach Zero Hunger goal by 2025 – five years earlier than the UN target date. I am involved in the issue of education in some States and generally in the issue of youth empowerment and employment. I am involved in all these domestically and altruistically to give hope and future to the seemingly hopeless and those in despair . I believe strongly that God has endowed Nigeria so adequately that no Nigerian should be either in want or in despair .I believe in team work and collaborative efforts . At the international level , we have worked with other world leaders to domicile the apparatus for monitoring and encouraging socio - economic progress in Africa in our Presidential Library. The purpose of Africa Progress Group , which is the new name assumed by Africa Progress Panel ( APP ) , is to point out where, when and what works need to be done for the progress of Africa separately and collectively by African leaders and their development partners . I have also gladly accepted the invitation of the UN Secretary- General to be a member of his eighteen - member High- Level Board of Advisers on Mediation . There are other assignments I take up in other fora for Africa and for the international community . For Africa to move forward , Nigeria must be one of the anchor countries , if not the leading anchor country. It means that Nigeria must be good at home to be good outside . No doubt , our situation in the last decade or so had shown that we are not good enough at home ; hence we are invariably absent at the table that we should be abroad .All these led me to take the unusual step of going against my own political Party, PDP , in the last general election to support the opposite side. I saw that action as the best option for Nigeria. As it has been revealed in the last three years or so , that decision and the subsequent collective decision of Nigerians to vote for a change was the right decision for the nation . For me , there was nothing personal , it was all in the best interest of Nigeria and , indeed , in the best interest of Africa and humanity at large . Even the horse rider then , with whom I maintain very cordial , happy and social relationship today has come to realise his mistakes and regretted it publicly and I admire his courage and forthrightness in this regard . He has a role to play on the side line for the good of Nigeria, Africa and humanity and I will see him as a partner in playing such a role nationally and internationally , but not as a horse rider in Nigeria again .The situation that made Nigerians to vote massively to get my brother Jonathan off the horse is playing itself out again . First, I thought I knew the point where President Buhari is weak and I spoke and wrote about it even before Nigerians voted for him and I also did vote for him because at that time it was a matter of “any option but Jonathan ” ( aobj ) . But my letter to President Jonathan titled : “Before It Is Too Late ” was meant for him to act before it was too late . He ignored it and it was too late for him and those who goaded him into ignoring the voice of caution. I know that praise - singers and hired attackers may be raised up against me for verbal or even physical attack but if I can withstand undeserved imprisonment and was ready to shed my blood by standing for Nigeria , I will consider no sacrifice too great to make for the good of Nigeria at any time . No human leader is expected to be personally strong or self- sufficient in all aspects of governance .I knew President Buhari before he became President and said that he is weak in the knowledge and understanding of the economy but I thought that he could make use of good Nigerians in that area that could help . Although, I know that you cannot give what you don ’ t have and that economy does not obey military order . You have to give it what it takes in the short - , medium - and long - term . Then , it would move . I know his weakness in understanding and playing in the foreign affairs sector and again , there are many Nigerians that could be used in that area as well. They have knowledge and experience that could be deployed for the good of Nigeria . There were serious allegations of round - tripping against some inner caucus of the Presidency which would seem to have been condoned . I wonder if such actions do not amount to corruption and financial crime , then what is it? Culture of condonation and turning blind eye will cover up rather than clean up . And going to justice must be with clean hands.I thought President Buhari would fight corruption and insurgency and he must be given some credit for his achievement so far in these two areas although it is not yet uhuru!The herdsmen /crop farmers issue is being wittingly or unwittingly allowed to turn sour and messy . It is no credit to the Federal Government that the herdsmen rampage continues with careless abandon and without finding an effective solution to it. And it is a sad symptom of insensitivity and callousness that some Governors , a day after 73 victims were being buried in a mass grave in Benue State without condolence, were jubilantly endorsing President Buhari for a second term ! The timing was most unfortunate . The issue of herdsmen / crop farmers dichotomy should not be left on the political platform of blame game; the Federal Government must take the lead in bringing about solution that protects life and properties of herdsmen and crop farmers alike and for them to live amicably in the same community .But there are three other areas where President Buhari has come out more glaringly than most of us thought we knew about him . One is nepotic deployment bordering on clannishness and inability to bring discipline to bear on errant members of his nepotic court . This has grave consequences on performance of his government to the detriment of the nation . It would appear that national interest was being sacrificed on the altar of nepotic interest . What does one make of a case like that of Maina : collusion , condonation, ineptitude , incompetence, dereliction of responsibility or kinship and friendship on the part of those who should have taken visible and deterrent disciplinary action ? How many similar cases are buried , ignored or covered up and not yet in the glare of the media and the public? The second is his poor understanding of the dynamics of internal politics . This has led to wittingly or unwittingly making the nation more divided and inequality has widened and become more pronounced . It also has effect on general national security. The third is passing the buck. For instance , blaming the Governor of the Central Bank for devaluation of the naira by 70% or so and blaming past governments for it, is to say the least, not accepting one’ s own responsibility . Let nobody deceive us , economy feeds on politics and because our politics is depressing , our economy is even more depressing today . If things were good , President Buhari would not need to come in . He was voted to fix things that were bad and not engage in the blame game . Our Constitution is very clear , one of the cardinal responsibilities of the President is the management of the economy of which the value of the naira forms an integral part . Kinship and friendship that place responsibility for governance in the hands of the unelected can only be deleterious to good government and to the nation .President Buhari ’ s illness called for the sympathy , understanding , prayer and patience from every sane Nigerian . It is part of our culture . Most Nigerians prayed for him while he was away sick in London for over hundred days and he gave his Deputy sufficient leeway to carry on in his absence . We all thanked God for President Buhari for coming back reasonably hale and hearty and progressing well in his recovery. But whatever may be the state of President Buhari ’ s health today, he should neither over- push his luck nor over- tax the patience and tolerance of Nigerians for him , no matter what his self - serving, so - called advisers , who would claim that they love him more than God loves him and that without him , there would be no Nigeria say . President Buhari needs a dignified and honourable dismount from the horse . He needs to have time to reflect, refurbish physically and recoup and after appropriate rest , once again , join the stock of Nigerian leaders whose experience , influence , wisdom and outreach can be deployed on the side line for the good of the country. His place in history is already assured . Without impaired health and strain of age , running the affairs of Nigeria is a 25 /7 affair, not 24 /7 .I only appeal to brother Buhari to consider a deserved rest at this point in time and at this age . I continue to wish him robust health to enjoy his retirement from active public service . President Buhari does not necessarily need to heed my advice. But whether or not he heeds it, Nigeria needs to move on and move forward .I have had occasion in the past to say that the two main political parties – APC and PDP – were wobbling . I must reiterate that nothing has happened to convince me otherwise . If anything , I am reinforced in my conviction . The recent show of PDP must give grave and great concern to lovers of Nigeria. To claim , as has been credited to the chief kingmaker of PDP , that for procuring the Supreme Court judgement for his faction of the Party , he must dictate the tune all the way and this is indeed fraught with danger. If neither APC nor PDP is a worthy horse to ride to lead Nigeria at this crucial and critical time , what then do we do ? Remember Farooq Kperogi, an Associate Professor at the Kennesaw State University , Georgia , United States , calls it “ a cruel Hobson ’ s choice ; it’ s like a choice between six and half a dozen , between evil and evil. Any selection or deflection would be a distinction without a difference . ” We cannot just sit down lamenting and wringing our hands desperately and hopelessly .I believe the situation we are in today is akin to what and where we were in at the beginning of this democratic dispensation in 1999 . The nation was tottering . People became hopeless and saw no bright future in the horizon . It was all a dark cloud politically , economically and socially. The price of oil at that time was nine dollars per barrel and we had a debt overhang of about $ 35 billion . Most people were confused with lack of direction in the country. One of the factors that saved the situation was a near government of national unity that was put in place to navigate us through the dark cloud . We had almost all hands on deck. We used people at home and from the diaspora and we navigated through the dark cloud of those days . At that time , most people were hopelessly groping in the dark . They saw no choice , neither in the left nor in the right , and yet we were not bereft of people at home and from the diaspora that could come together to make Nigeria truly a land flowing with milk and honey . Where we are is a matter of choice but we can choose differently to make a necessary and desirable change , once again .Wherever I go , I hear Nigerians complaining , murmuring in anguish and anger . But our anger should not be like the anger of the cripple. We can collectively save ourselves from the position we find ourselves. It will not come through self- pity , fruitless complaint or protest but through constructive and positive engagement and collective action for the good of our nation and ourselves and our children and their children . We need moral re - armament and engaging togetherness of people of like - mind and goodwill to come solidly together to lift Nigeria up . This is no time for trading blames or embarking on futile argument and neither should we accept untenable excuses for non - performance . Let us accept that the present administration has done what it can do to the limit of its ability, aptitude and understanding . Let the administration and its political party platform agree with the rest of us that what they have done and what they are capable of doing is not good enough for us . They have given as best as they have and as best as they can give . Nigeria deserves and urgently needs better than what they have given or what we know they are capable of giving. To ask them to give more will be unrealistic and will only sentence Nigeria to a prison term of four years if not destroy it beyond the possibility of an early recovery and substantial growth . Einstein made it clear to us that doing the same thing and expecting a different result is the height of folly. Already , Nigerians are committing suicide for the unbearable socio - economic situation they find themselves in . And yet Nigerians love life. We must not continue to reinforce failure and hope that all will be well . It is self - deceit and self - defeat and another aspect of folly.What has emerged from the opposition has shown no better promise from their antecedents . As the leader of that Party for eight years as President of Nigeria , I can categorically say there is nothing to write home about in their new team. We have only one choice left to take us out of Egypt to the promised land . And that is the coalition of the concerned and the willing – ready for positive and drastic change , progress and involvement . Change that will give hope and future to all our youth and dignity and full participation to all our women. Our youth should be empowered to deploy their ability to learn , innovate and work energetically at ideas and concepts in which they can make their own original inputs . Youth must be part of the action today and not relegated to leadership of tomorrow which may never come . Change that will mean enhancement of living standard and progress for all. A situation where the elected will accountably govern and every Nigerian will have equal opportunity not based on kinship and friendship but based on free citizenship.Democracy is sustained and measured not by leaders doing extra - ordinary things , (invariably , leaders fail to do ordinary things very well) , but by citizens rising up to do ordinary things extra - ordinarily well. Our democracy , development and progress at this juncture require ordinary citizens of Nigeria to do the extra -ordinary things of changing the course and direction of our lackluster performance and development . If leadership fails , citizens must not fail and there lies the beauty and importance of democracy . We are challenged by the current situation ; we must neither adopt spirit of cowardice nor timidity let alone impotence but must be sustained by courage , determination and commitment to say and do and to persist until we achieve upliftment for Nigeria . Nothing ventured, nothing gained and we believe that our venturing will not be in vain . God of Nigeria has endowed this country adequately and our non -performance cannot be blamed on God but on leadership. God, who has given us what we need and which is potentially there , will give us leadership enablement to actualize our potentiality .The development and modernization of our country and society must be anchored and sustained on dynamic Nigerian culture , enduring values and an enchanting Nigerian dream . We must have abiding faith in our country and its role and place within the comity of nations . Today, Nigeria needs all hands on deck. All hands of men and women of goodwill must be on deck. We need all hands to move our country forward .We need a Coalition for Nigeria, CN. Such a Movement at this juncture needs not be a political party but one to which all well- meaning Nigerians can belong . That Movement must be a coalition for democracy , good governance , social and economic well- being and progress . Coalition to salvage and redeem our country . You can count me with such a Movement . Last time , we asked , prayed and worked for change and God granted our request. This time , we must ask , pray and work for change with unity , security and progress . And God will again grant us . Of course , nothing should stop such a Movement from satisfying conditions for fielding candidates for elections . But if at any stage the Movement wishes to metamorphose into candidate - sponsoring Movement for elections , I will bow out of the Movement because I will continue to maintain my non - partisan position. Coalition for Nigeria must have its headquarters in Abuja.This Coalition for Nigeria will be a Movement that will drive Nigeria up and forward . It must have a pride of place for all Nigerians, particularly for our youth and our women . It is a coalition of hope for all Nigerians for speedy , quality and equal development , security, unity , prosperity and progress . It is a coalition to banish poverty, insecurity and despair . Our country must not be oblivious to concomitant danger around, outside and ahead. Coalition for Nigeria must be a Movement to break new ground in building a united country, a socially- cohesive and moderately prosperous society with equity , equality of opportunity , justice and a dynamic and progressive economy that is self - reliant and takes active part in global division of labour and international decision -making .The Movement must work out the path of development and the trajectory of development in speed , quality and equality in the short - medium - and long- term for Nigeria on the basis of sustainability , stability , predictability , credibility , security, cooperation and prosperity with diminishing inequality . What is called for is love, commitment and interest in our country , not in self, friends and kinship alone but particularly love, compassion and interest in the poor, underprivileged and downtrodden . It is our human duty and responsibility so to do . Failure to do this will amount to a sin against God and a crime against humanity .Some may ask , what does Obasanjo want again ? 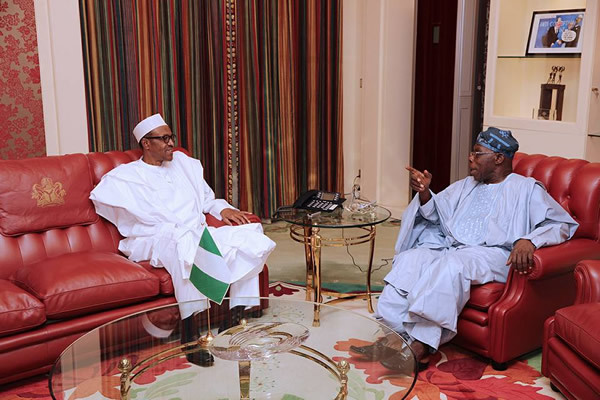 Obasanjo has wanted nothing other than the best for Nigeria and Nigerians and he will continue to want nothing less . And if we have the best , we will be contented whether where we live is described as palaces or huts by others and we will always give thanks to God.I , therefore , will gladly join such a Movement when one is established as Coalition for Nigeria, CN, taking Nigeria to the height God has created it to be . From now on, the Nigeria eagle must continue to soar and fly high. CN, as a Movement , will be new, green , transparent and must remain clean and always active , selflessly so . Members must be ready to make sacrifice for the nation and pay the price of being pioneers and good Nigerians for our country to play the God -assigned role for itself , for its neighbours , for its sub -region of West Africa , for its continent and for humanity in general . For me , the strength and sustainable success of CN will derive largely from the strong commitment of a population that is constantly mobilized to the rallying platform of the fact that going forward together is our best option for building a nation that will occupy its deserved place in the global community . May God continue to lead , guide and protect us . Amen .